Miss White’s reading group are reading Burgler Bill – They made potatos of their main characters! Explore Learning came in to launch their competition where yo ucan win a trip to Disney land and meet Alesha Dixon! This is Alexandra Park’s choir taking part in National Sing Up Day! As part of Book Day we quizzed each other on our favourite books, thinking about which books we could tick off on our book bingo! Book Week wouldn’t be complete without a bit of reading. We’ve been peer assessing our reading abilities. Attached are the photos from assembly this morning and the winners of the competitions! Well done everyone for some fantastic work and some brilliant costumes. 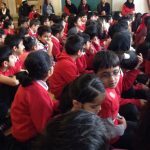 Year 5 had the challenge of telling parts of our story to the other class. We each read a section of the story, and created a short drama, to share with the groups that hadn’t read those sections. Class 9 got to speak to Cressida Cowell on live stream thanks to @SkypeClassoom and #Skype2learn. It was a fantastic experience. We learnt how to draw the main characters and got to ask her questions. Thanks for this wonderful experience @SkypeClassroom. We created a book hunt around school. The children had to write down what they thought the title of the book was from cryptic clues written down. These clues were scattered around the school. Class 9 have entered the National Design A Book Token competition! Hope we win! 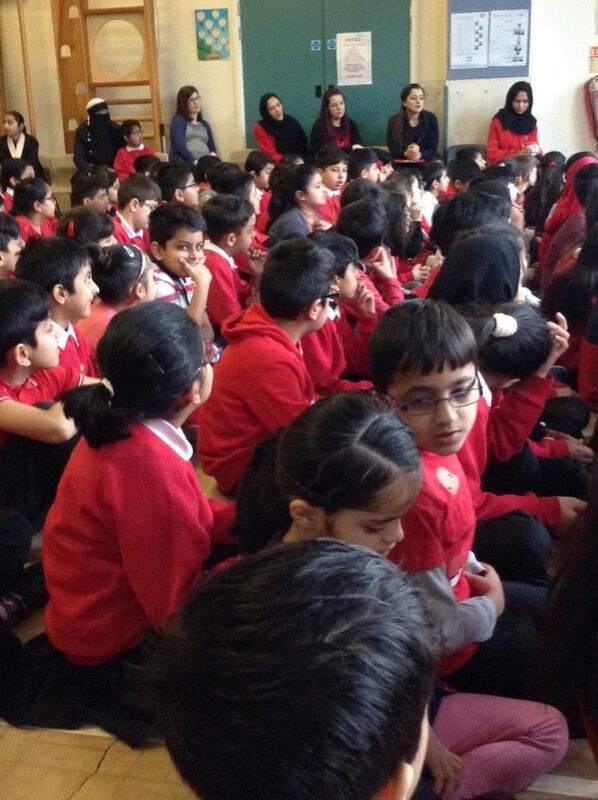 We held Aspirations day on Wednesday 5th December. 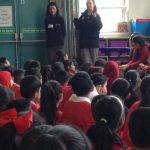 On this day pupils had the opportunity to listen to talk from professionals that the children aspire to be like when they grow up. It was a massive success. A big thankyou to all of our visitors that helped make this day a success. 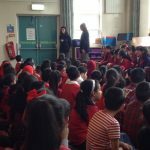 The council came in to do assemblies across school about the importance of being safe on the road. 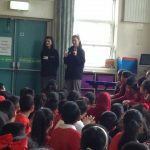 Year 5 took part in Walking workshops whereby they were shown the safe ways to cross the road even when circumstances are not ideal. Year 3 have had workshops in how to be safe around roads. 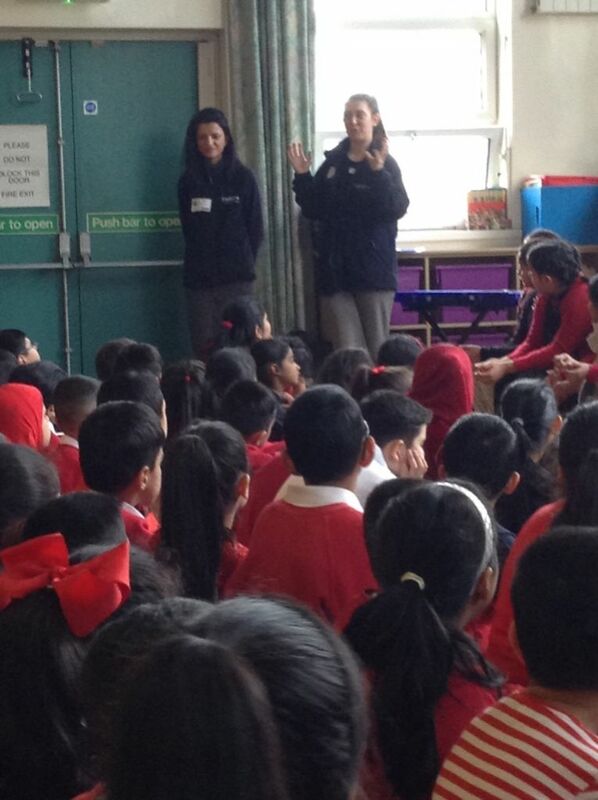 Year 6 were given advice on walking to and from school safely, especially where being in cars is concerned. “This weeks been a fantastic success. 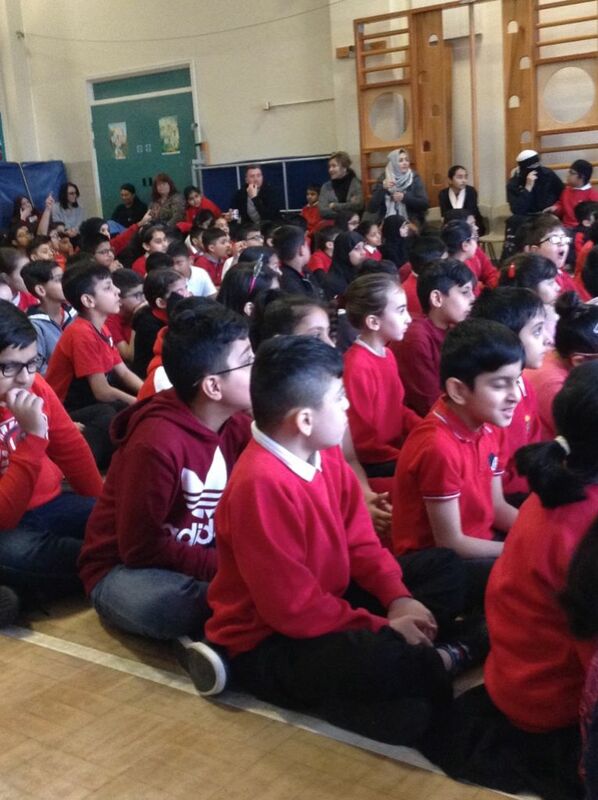 We’ve followed up our assemblies with in class activities and really focused on how to keep children safe. It’s important they learn these skills young, so they can keep themselves safe through life”- PSHE coordinator Samantha Nicholson-Hickling. This event was also featured in the Oldham evening chronicle. Please click the link below to access. We’ve had a fantastic start to our respect week (aka anti-bullying week). 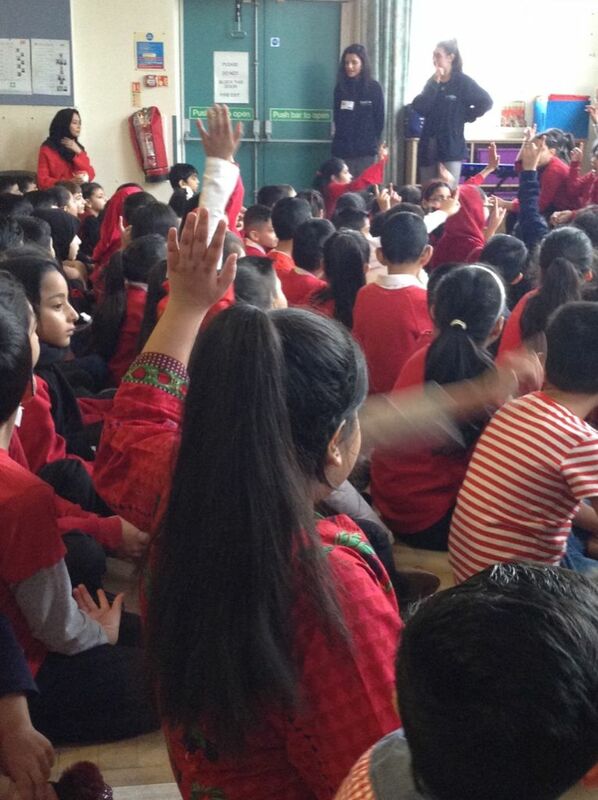 Our pastoral team led an assembly whereby adults were deliberately disrespectful. Children had made respect flags and were asked to wave them when they saw something disrespectful such as an adult on their phone, or talking over someone. 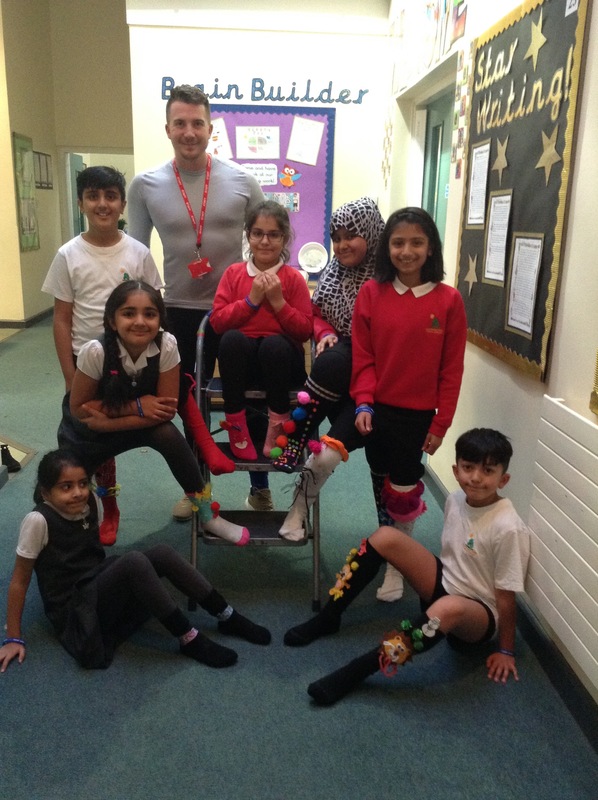 The children were asked to come in in their odd socks to show that everyone is different. 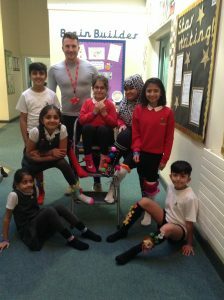 We’ve ran an odd sock making competition and the picture includes some of our fantastic home made entries. The children also sang a song about Choosing Respect. To raise money for antibullying charities we have been selling antibullying wristbands. We’ve also included photos of some of our respect flags. Subhan Mailk (Year 6), Anabia Ali (Year 3), Aaminah Ali (Year 3), Ayman Ali (Year 5), Hany Ali (Year 4), Sama Mahmood (Year 4), Ahad Aziz (Year 3). 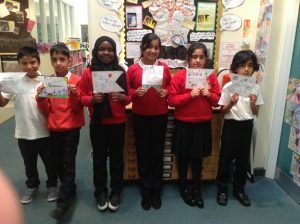 In the respect flags they are all year 5 – Safwaan Mahmood, Huzaifah Khan, Sali Seidi, Huriyah Amin, Mehek Hussain, Amaan Muhammed. Below are some photos from our Remembrance activities today. We started off the day with an assembly remembering why we celebrate Remembrance. I am so proud of all the children who took it very seriously. They sang our remembrance song beautifully. In Year 3 they made poppies and researched a soldier to find out what their lives were like. In Year 4 they read Flanders Fields and found out about John McCrae. In Year 5 we made plastic poppies using bottle bottoms and tissues, they also made a wreath. Some classes wrote haiku’s as part of the BBC Live lesson. The children have been really respectful today and I am so proud of them, especially having a personal link to the wars through my Great Great Uncle who served and died in Dunkirk – Mrs Hickling. This event was also featured in the Oldham Reporter. Please click the link below to access. 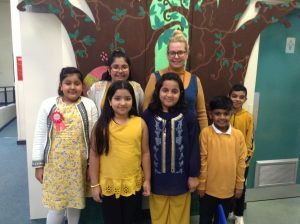 Children were asked to come into school wearing something yellow to raise awareness of World Mental Day. Hannah Culling (Year 3 Teacher & Forest School Leader) led the event with an informative assembly to inspire the children to think about how to look after their mental health and that of others. My comment as PSHE co-ordinator “It’s really important our children know about mental health and how to look after themselves. 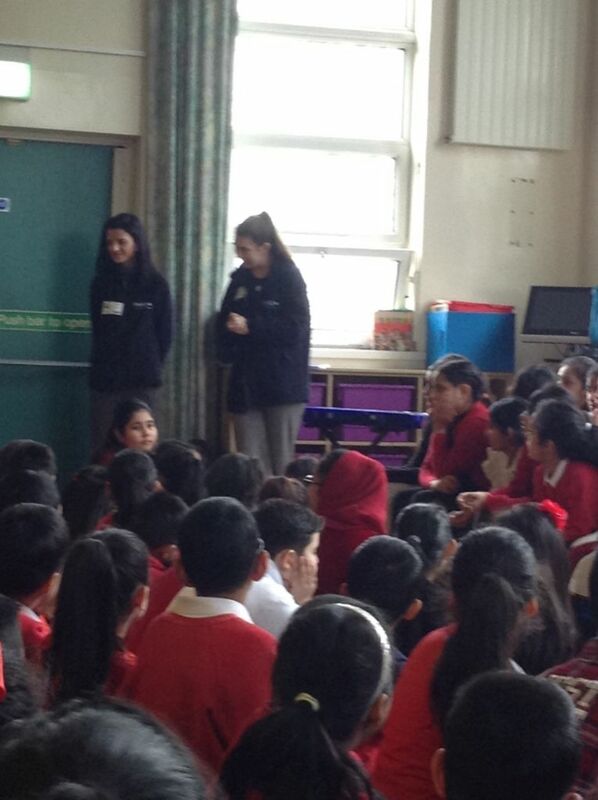 It’s been a fantastic day where the children have been able to talk openly. We want to remove that stigma that develops around mental health, and make it an important part of our curriculum.” Samantha Hickling – PSHE Co-ordinator. This article was also featured in the Oldham Times. Please click on the link below to access. We have had a very successful Anti Hate Week. 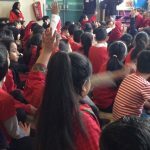 We kicked off the week with Oldham Athletic talking to our children about Racism in football, specifically our local teams. 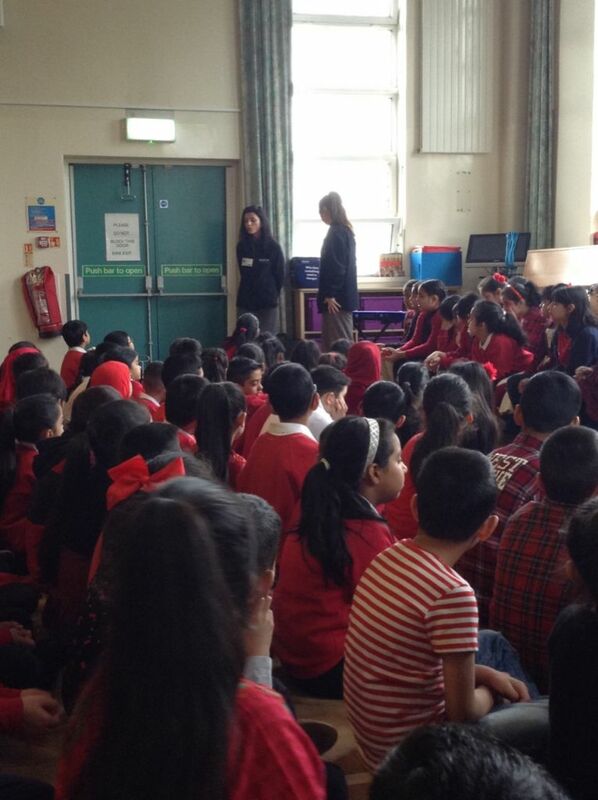 We lead on the week with Stop Hate UK coming into school on Wednesday to talk to the children about their work. They gave out their helpline number to all the children to take home. 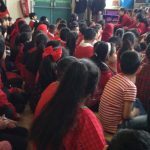 Friday celebrated our Show Racism the Red Card day, with the children coming into school i need with a £1 donation for Stop Hate UK. 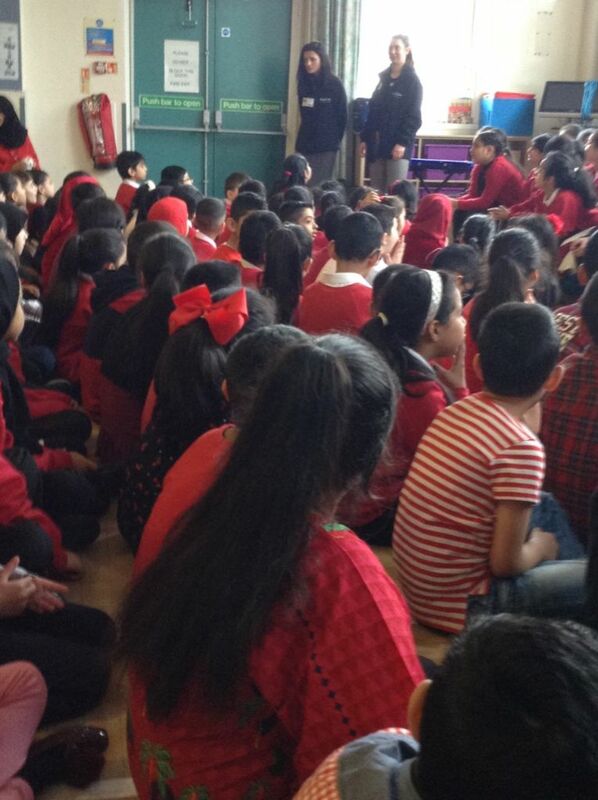 On the day Debbie Abrahams talked about her work with show racism the red card, our Year 3 teacher Mr Whiteside referred our own Show Racism the Red Card football tournament. Our children chalked anti-hatred messages on the playground and made red cards to fill out playground with the message that we don’t accept persecution and hate in our classrooms. Attached are photos from the playground chalking, the red cards and the visitors we’d had. 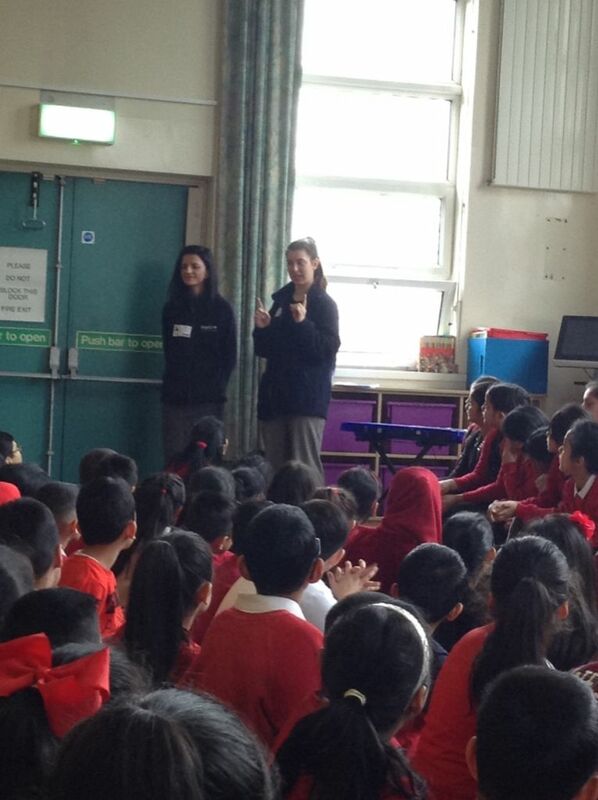 There is are also photos on Debbie Abrahams twitter. 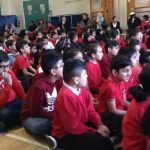 Alexandra Park Junior School have made headlines in local newspapers several times. These headlines highlight all the wonderful things taking place in our school. Please click on the links below to access these articles. 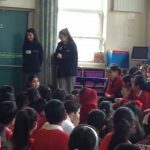 At Alexandra Park Junior School we celebrated Safer Internet Day for a whole week. The Computing lessons all focused on this years theme of “Consent online”. There were lots of fun activities and competitions that children could take part in. Below are pictures from the week along with some prizes that were won by pupils by showing a positive attitude and sharing some fantastic ideas on how to be safe!! 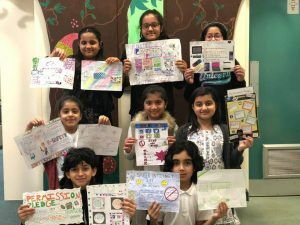 The children took part in a “Permission Pledge Poster” competition for Safer Internet Day 2019. Below are the winners and their amazing posters! Well done everyone! !